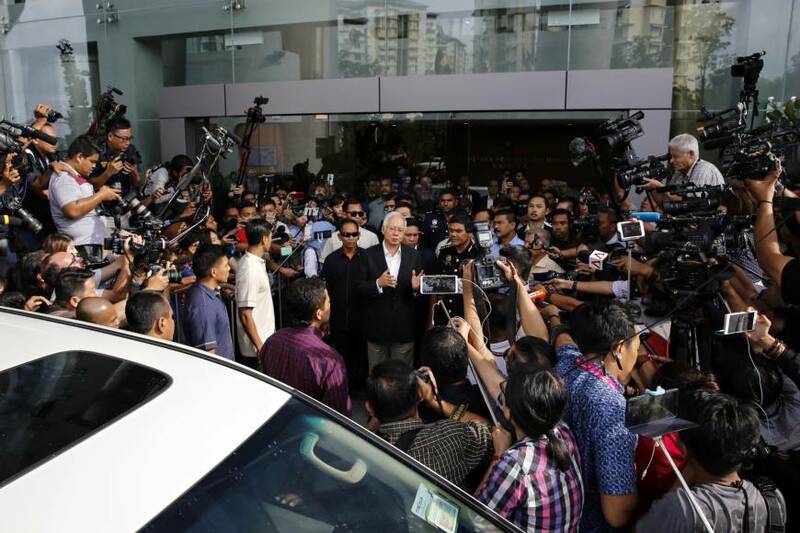 KUALA LUMPUR - Malaysian police said Friday they found cash amounting to almost $30 million in a raid on a luxury apartment as they probed corruption allegations swirling around ousted leader Najib Razak. The money was seized along with 284 boxes containing designer handbags, as well as watches and jewelry from a condominium in Kuala Lumpur, which was raided along with Najib’s home and other sites last week. Najib’s coalition was thrown out of power for the first time in over six decades in the May 9 poll, defeated by a reformist alliance headed by his former mentor, Mahathir Mohamad. The money was found in 35 bags while another 37 bags contained watches and jewelry, he told a press conference. The value of other items will be calculated later, he said. The seizure of the luxury goods added to public scorn of Najib’s wife, Rosmah Mansor, long reviled by Malaysians for her perceived haughty demeanor and reported vast collection of designer bags, clothing and jewelry.